Logitech – the computer and mobile accessories manufacturing company has recently launched its latest device, touted as the Logitech MX Anywhere 2S Wireless Mouse. The company has introduced a new technology “Logitech Flow” that will let you allow to control up to three computers at a time with one mouse. This new technology is compatible with a newly announced mouse; yes I am talking about the Logitech MX Anywhere 2S Wireless Mouse. 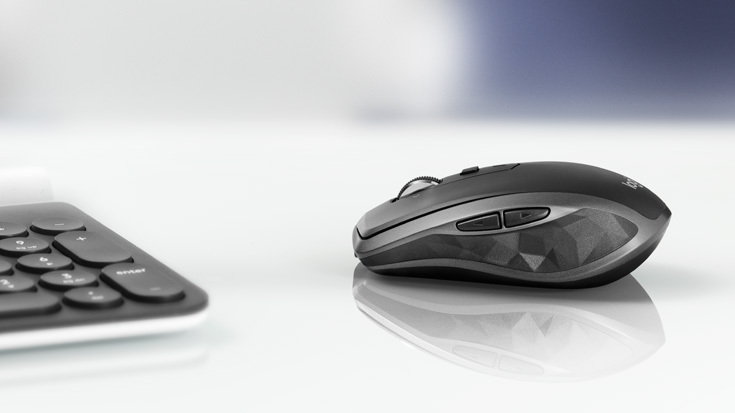 The main highlight of this newly arrived mouse is that it comes with advanced Darkfield high Precision tracking that provides you more improved and enhanced cursor pace and accuracy as well as also increases the resolution up to 4,000 DPI. The mouse is not much heavier measuring at 2.43 x 3.95 x 1.35 inches and weighs 3.74 oz. (106g) and comes in black color option. This versatile and unique mouse offers you a proper-handed ergonomic layout that will make better and relaxed grip. As I mentioned earlier, the mouse is lightweight and comes with a compact shape so you can easily use it at home, at your office or on the go. As the name suggested, it is the wireless mouse so you can connect it to your laptop either with Bluetooth connection or Unifying receiver. The most notable features of this mouse that it comes with the support for Logitech Flow, as I mentioned above. With this technology, you can move your cursor across three computers or even copy and paste pictures and textual content between them. When it comes to buttons and controllers, the Logitech MX Anywhere 2S Wireless Mouse comes with seven buttons so you can easily control it. If you are interested, you can grab this Logitech MX Anywhere 2S Wireless Mouse with an amount of $79.